Jess Blecher is a neurovascular nurse in Portland, Oregon. 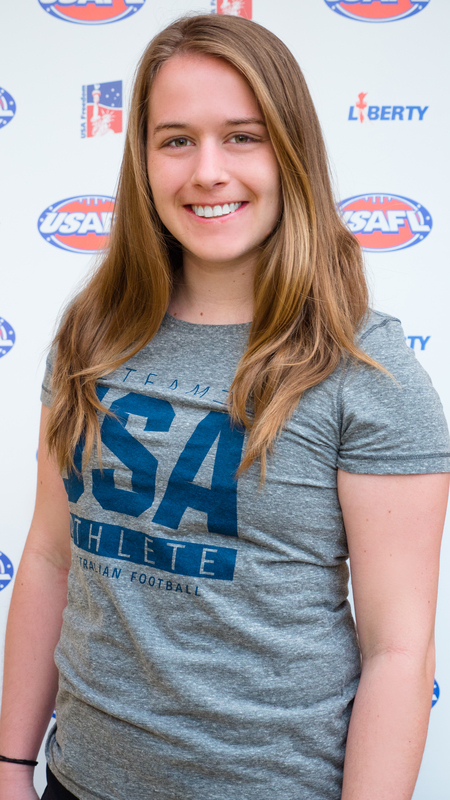 She discovered footy while studying abroad in Fremantle and then found the local Portland men's team when she returned to the States. She is a founding member of the Portland Sockeyes and this will be her 4th season. Her experience playing soccer drew her to the game and helped her quickly pick up the skills. Jess plays all over the field for the Sockeyes, but will be found on the backline for the Freedom. When not working or playing footy, you can find Jess hiking, reading, painting, and drinking coffee.